The art of delegation is an acquired skill, one that some managers are not very good at. They come up with 101 reasons why they shouldn’t or can’t delegate certain projects to someone in their team.We’re here to bust those myths wide open and prove why delegation at work is vital to the success and efficiency of projects. 1. Your team can handle more than you think. If you treat your team like incompetent fools, they will act like it. It is a self-fulfilling prophecy. In reality, if you give them the benefit of the doubt, they will more than likely succeed. It may take a bit of support and advice on your part at first, but within no time at all, they will have gained more experience, skills, and confidence. It’s a win win situation and reduces your workload. 2. Training takes no time at all. Yes, sometimes a little training is required in the beginning. But if you consider all the hours you’ll be saving in the long run, to cost/benefit is undeniable. 3. Two minds are better than one. While the saying that too many cooks spoil the broth is true, sometimes having a fresh pair of eyes looking at the project is incredibly valuable. They come at the project with a different perspective that could provide valuable insight. 4. Gives you more time to manage the team properly. 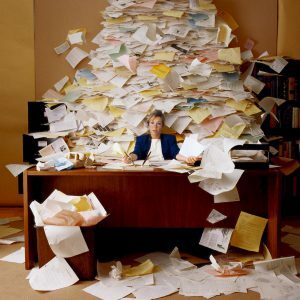 Delegating your work load does not mean you are rendering yourself useless. In fact quite the opposite. Successfully delegating specific projects to your team allows you more time to properly manage your team. If anything a successful manager is more valuable to a company and may warrant a promotion. 5. Learn to release a bit of control. A good manager does not micromanage. If you’re a control freak and hate to delegate because you believe that nobody can do the work as good as you can, you probably shouldn’t be in a management position. Release your obsession with having total control and trust your team and how you’ve trained them. 6. Employees relish added responsibility. Any employee worth having strives to grow and improve in their position. If you don’t give them the opportunity to prove their worth, to learn new skills and rise up the career ladder, they will start to look further afield for a more challenging position. 7. Delegation is about efficiency and synergy. The main purpose of delegation is to make everything run smoothly and more efficiently. If members of the team have too much on their plates to be able to handle more work, there is something going wrong with the system. As a manager, it is your responsibility to make sure tasks are divvied up appropriately within your team to ensure everyone can get as much done as possible. Tagged under: manager,	managerial skills,	micromanager,	team work. Does an office without walls really work? The good, the bad and the ugly.